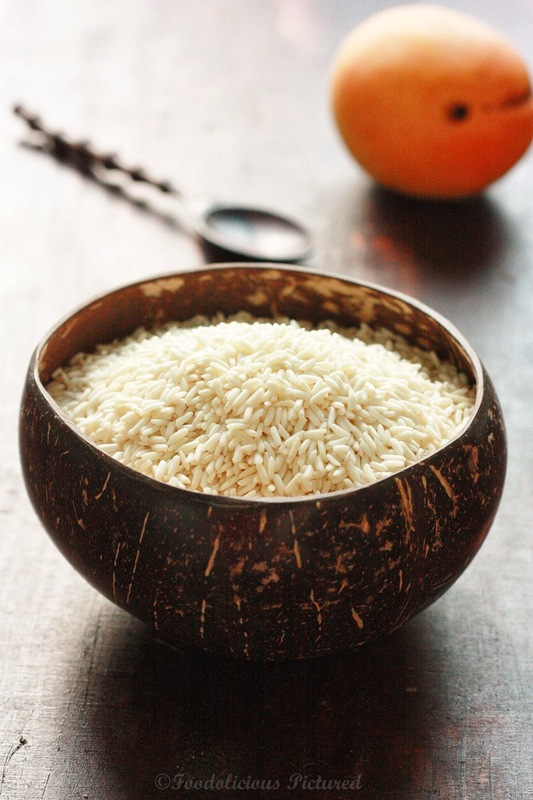 Rinse the rice in several changes of running cold water. and soak the rice over night in bowl of fresh water. 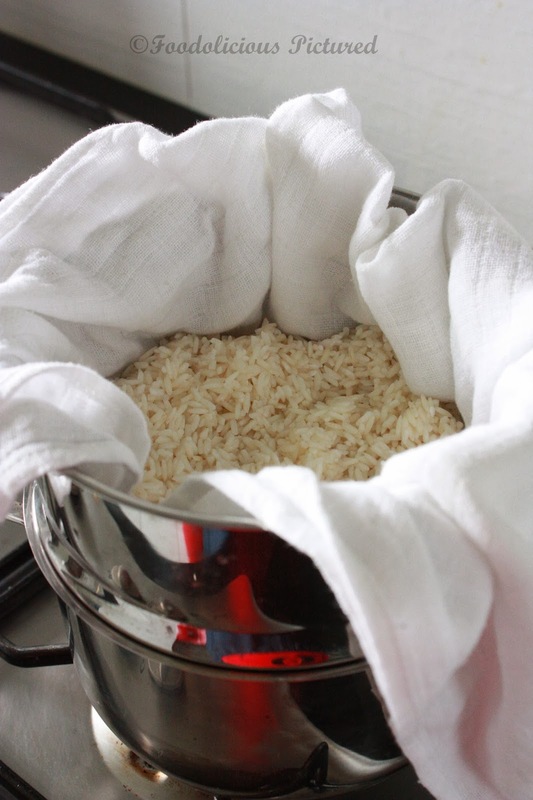 Drain the rice well and spread it evenly in a steamer lined with muslin or cheese cloth. Cover and steam over a pan of simmering water for about 25-30 minutes or till the rice is tender. To make the sauce, In a pan warm 1/4 cup of coconut milk over low heat. Add 1 Tablespoon. sugar (Add more to suit your taste), stir till the sugar dissolves. Turn off the heat and set aside. In pan pour 3/4 cup of coconut milk salt and sugar. Over a medium heat, stir continuously and dissolve the sugar. Bring to a boil. Now add the rice and stir well. Turn off the heat. Cover and leave the rice mixture to stand for 10 – 15 minutes. Peel the mangoes, cut into slices. To serve spoon the rice on to the serving plates and sprinkle the peas over. Arrange the mango slices on the side and drizzle the sauce over. Note – Traditionally bamboo baskets are used for steaming. So if you have one go ahead and steam the rice in the basket lined with muslin or cheese cloth as mentioned in the recipe above. 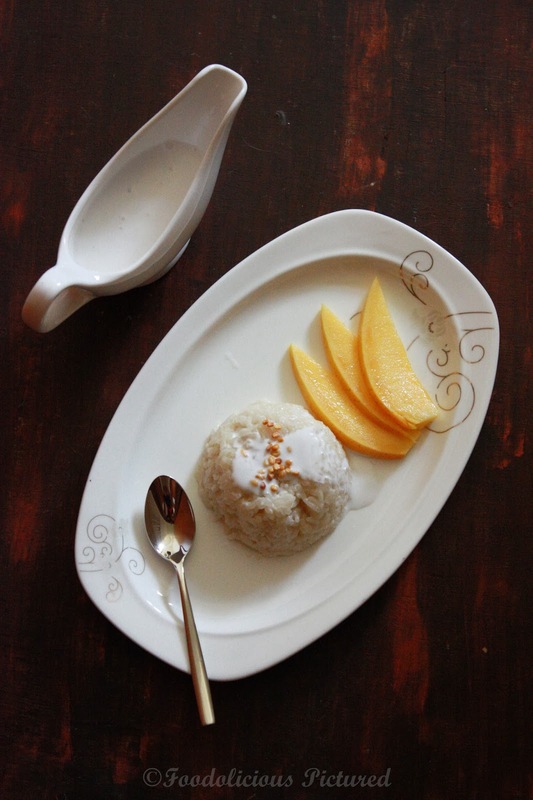 Tempting thai mango sticky rice.. Beautiful clicks.. 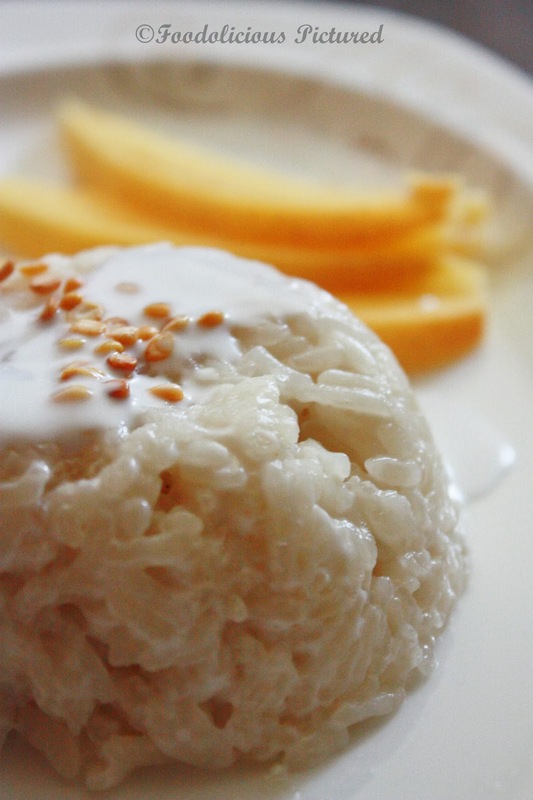 I want this right now…looks so yummy…I love sticky rice!!! Those mangoes are looking so juicy and yum! Our all time fav and that peas on top is surely another splendid attraction. Mango rice combo luks delicious rekha….pics are simply awesome!! YUMMO!! I am craving this now, looks delicious. 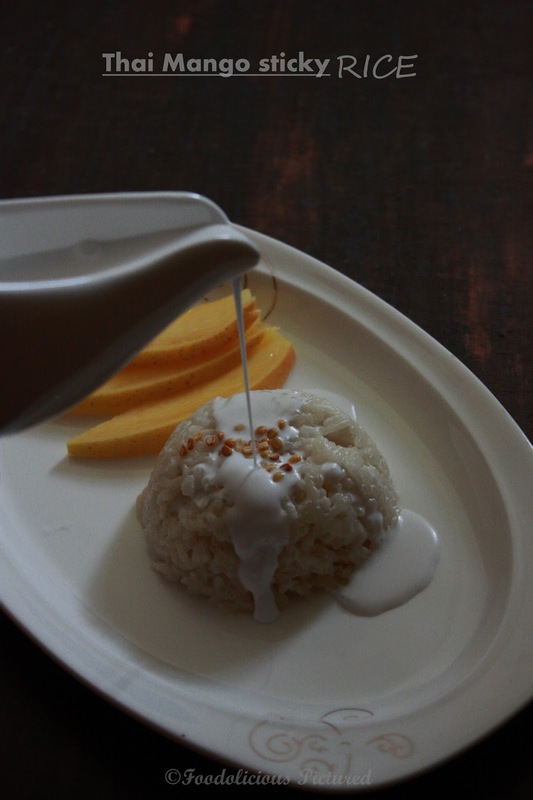 Love sticky rice. 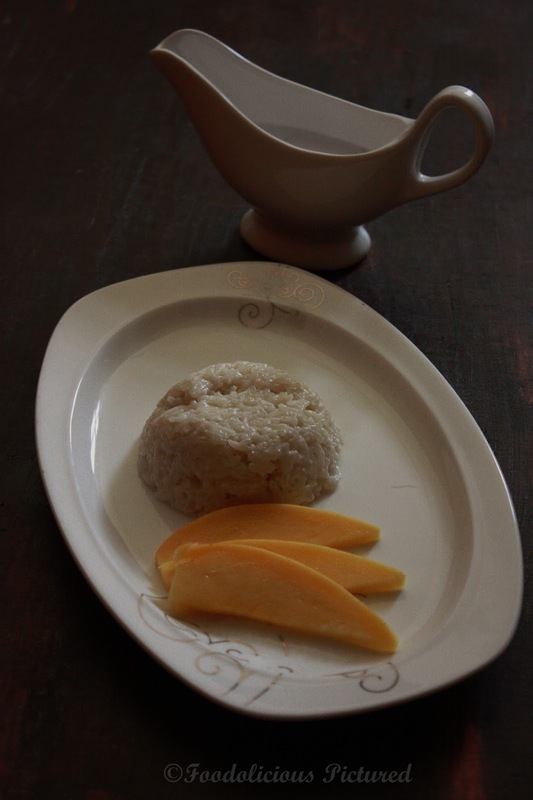 I absolutely love mango sticky rice. So craving for this now. this looks absolutely yum… especially the first pic… makes me wonder, is mango in season now? Very well captured. Simple and yet amazing. like your props rekha 🙂 never tried this rice..
Love the clicks Rekha. Especially those first two 🙂 The sticky rice sounds great too. I still find Mangoes here Rafee !